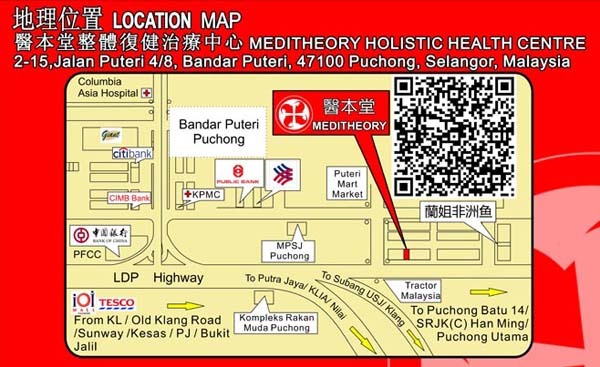 Meditheory Holistic Health Centre is the first human anatomy medical centre with comprehensive treatment in Malaysia. 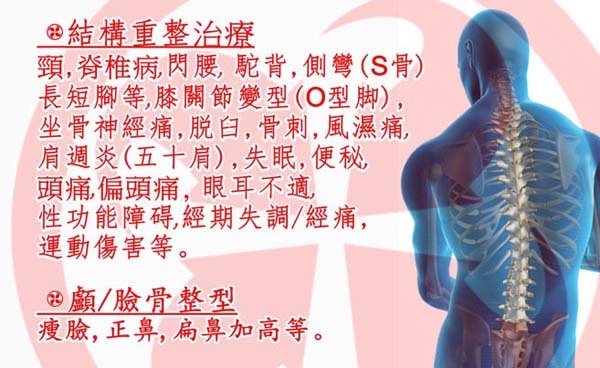 It combines human anatomy medical treatments, body self healing system, treatments of human fascia system with the fusion of European structural treatment, traditional orthopedic surgery (Chinese, Japanese, Taiwan and Hong Kong combination) and Chinese bone setting. Besides, it follows the source of particular disease and designs the individual body structural alignment treatment. The treatment is carried out by bare hands and time is allowed for body self recovery without the need of undergoing surgery. Scoliosis, Hump-back, Structural Relocated, Sciatica,Rheumatic diseases ,Periarthritis, Vertebral Subluxation, Slipped disc , Frozen Shoulder, Insomnia, Constipation, Edema, Osteoarthritis.